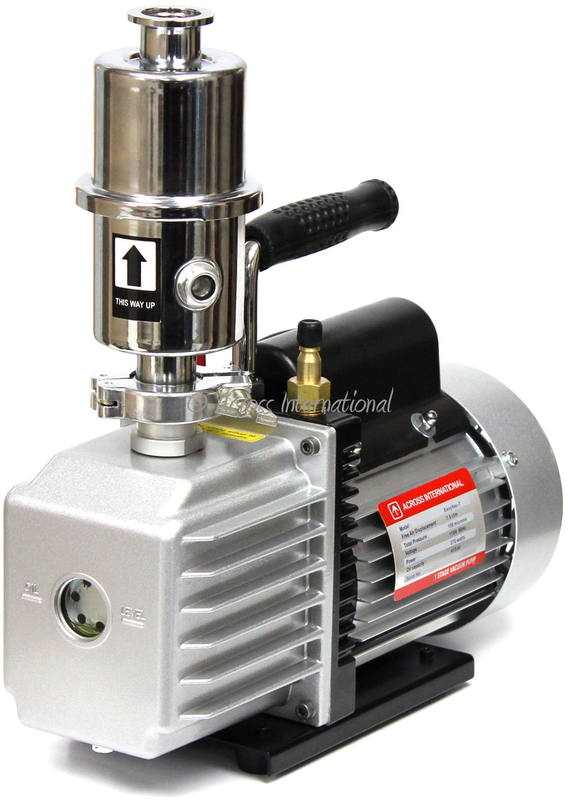 The new Across International EasyVac 7 CFM single-stage sliding-vane rotary compact vacuum pump with 3/8" hose barb vacuum connector comes with a 3-foot food grade silicone hose. The exhaust oil mist filter returns trapped pump oil back to the pump and makes the pump quieter to run. 13” x 5” x 10"